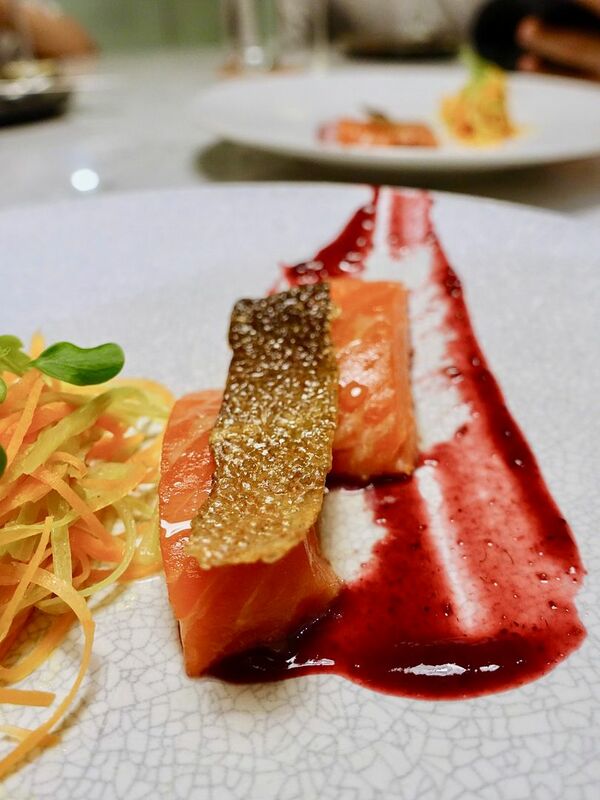 Robertson Quay is undergoing some serious revival with new hotels and changes in the food scene along the river. A homegrown favorite SPRMRKT has expanded and set up shop at the Singapore Tyler Print Institute (STPI) Creative Workshop & Gallery. I've walked past several times but only noticed their bistro concept SPRMRKT Daily. Little did i know that their Kitchen & Bar, which serves refined European food, is tucked away upstairs through a side stairway. The spot is absolutely gorgeous in the day with expansive views of the idyllic riverside. Lunch sets are offered, starting from $30, served with coffee or tea. 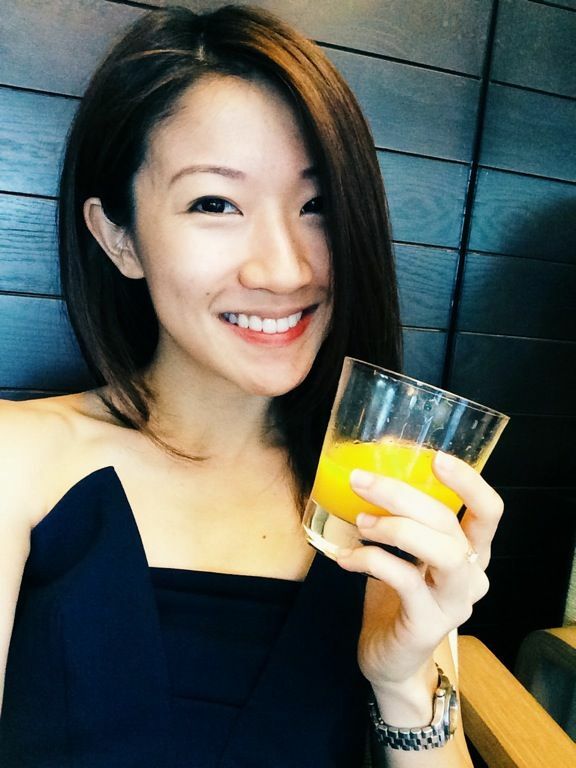 They have also started their weekend brunches and we say grab a table now! For lunch, start with a simple but wholesome Brussels & Roots with a honey clove dressing. The vegetables are simply steamed- golden baby beetroots and baby turnips along with the Australian Brussels sprouts. The garden of greens is flavored with pops of umami from the slow-baked tomatoes seasoned with thyme, garlic, sea salt and olive oil. 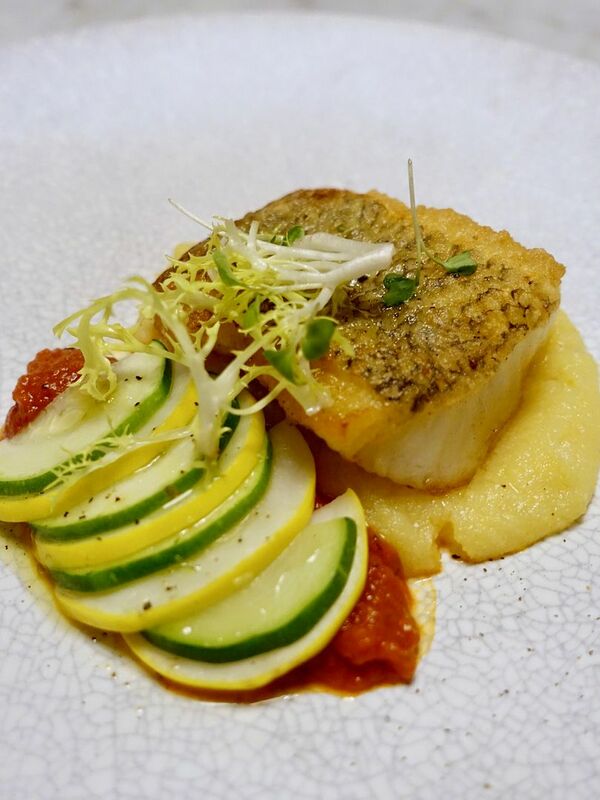 For lunch, go for a lighter Pan-Roasted Chilean Sea Bass. The fish is seared and basted with butter, then finished in the oven with a simple touch of salt, pepper, and lemon juice. A refreshing ratatouille adds a juicy crunch to the mix. We agreed with the chicken stock flavored polenta which was rich and velvety with some Parmesan sharpness. 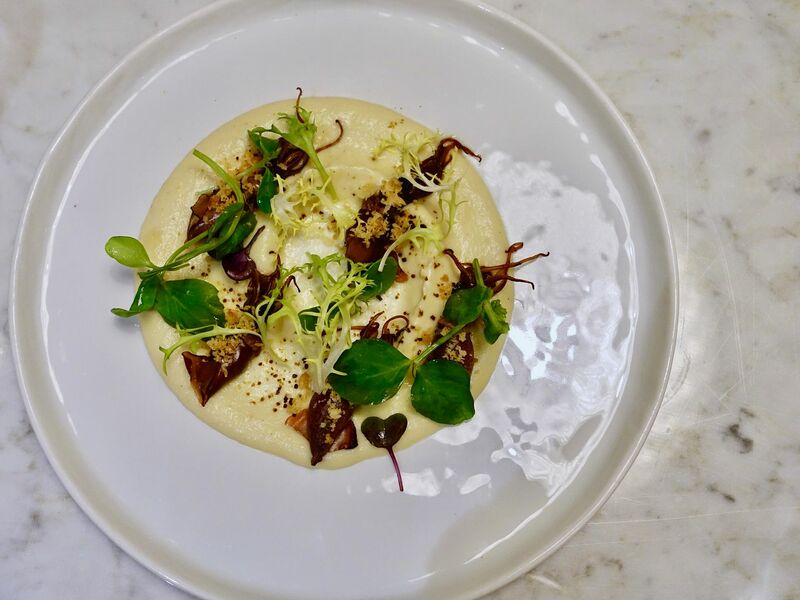 For dinner, the Firefly Squid ($24) surprised us with a bacon-like smokiness in the meatless cauliflower puree. I have no idea how but i'd take all the cauliflower puree as a guiltless replacement. The special firefly squid from Japan is intensely flavored, having been marinated overnight in soya sauce, sake, mirin and brown sugar. Definitely order the Octopus & Prawn ($24). 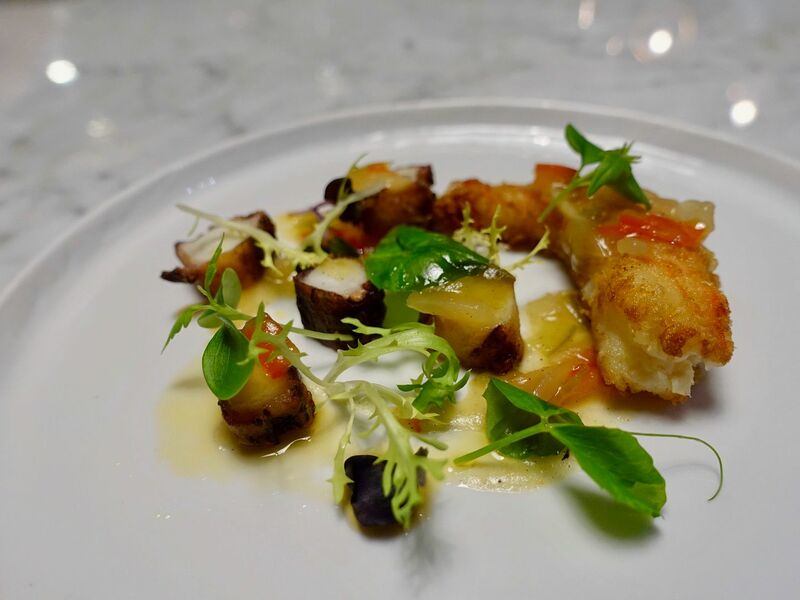 This has to be one of the best (if not the best) Spanish octopus i've eaten this year. The octopus is simmered whole with mirepoix and other spices and white wine for 2 - 3 hours before grilling on a plancha. The crispy skin and that tender flesh were unforgettable. I didn't like the Fjord Trout ($19). I'm not sure if it's due to the way it's cooked- mi cuit style, sous vide with salt, but the flesh was mushy and powdery. The flavor was great, just not the texture. Fresh pasta are a must these days. 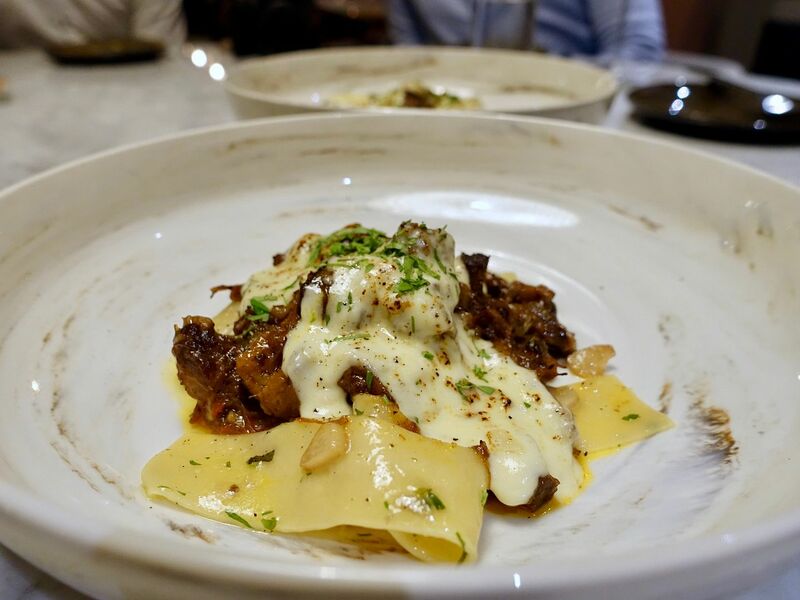 If you like something really meaty, the Malbec Oxtail Pasta ($32) with a smoky Scamorza will satisfy. The oxtail is braised with Malbec (my favorite wine) to impart that berries, plum, and chocolate flavor. Perfect comfort food. Can i have another glass of Malbec to go with this please? 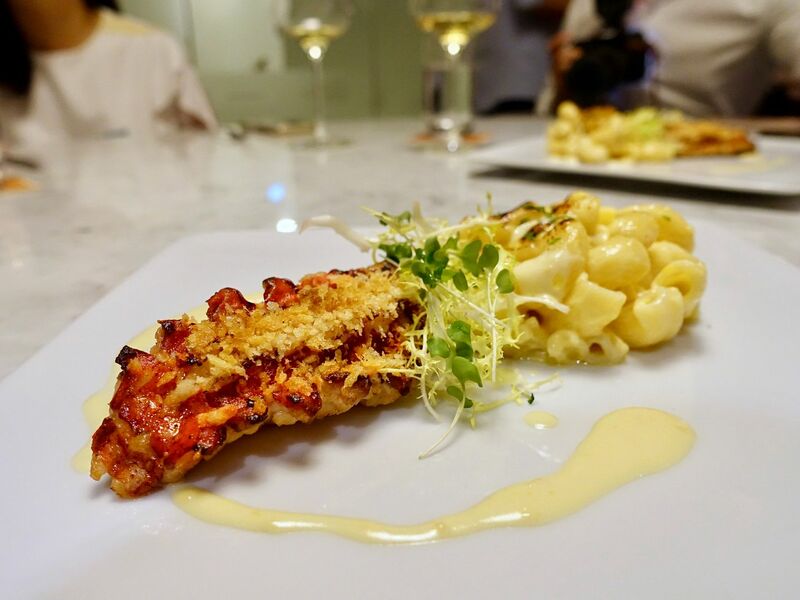 A favorite at SPRMKT is the Smoked Lobster Tail ($42) which features a cold smoked and then seared Maine lobster with toasted garlic panko bread crumbs and a Mac n Cheese. The cheese sauce is a lot lighter than usual as they have added pumpkin puree to the Emmental, aged Parmesan, and Mozzarella mix. 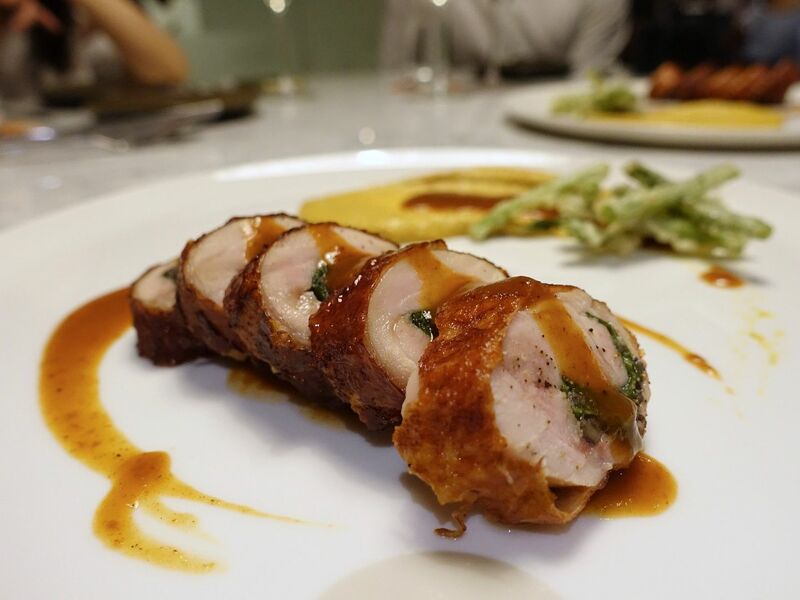 I absolutely love the Twice Cooked Chicken Roulade ($28). I've not had a chicken so good in a while. The juicy chicken thigh is brined overnight and then rolled with a creamy spinach and mushroom duxelle, before being cooked sous vide and then shallow fried for that amazing Peking-duck-like crispy skin. It's great on its own, with its own jus, or with the amazing curry cauliflower puree (seriously they are so good with their cauliflowers). I can go on forever about the other tender juicy red that is the Stockyard Côte de Boeuf ($94). 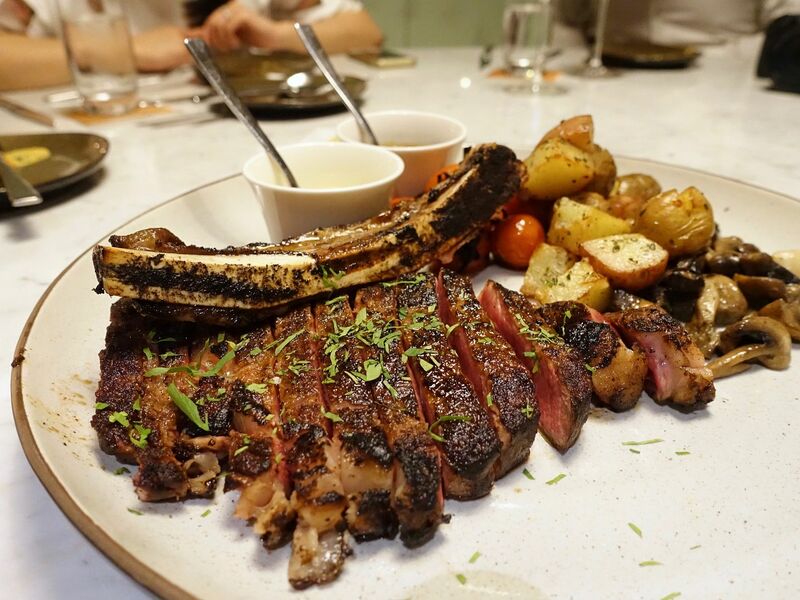 This 200 days grain-fed 600g Australian bone-in beef ribs is good for 2. The ribs are first coated with a house made Creole spice rub before being seared and roasted. Drizzle a little of that beef jus made with roasted bones, red wine, tomatoes, and veal jus for some tart umami. 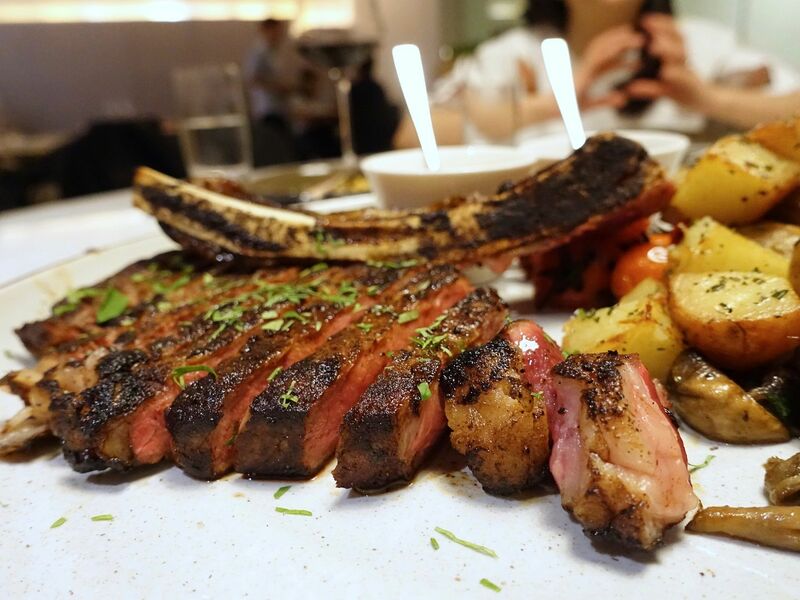 The meat is served with mixed mushrooms, roasted rosemary tomatoes and vine-ripened tomatoes. Perfect date meal! 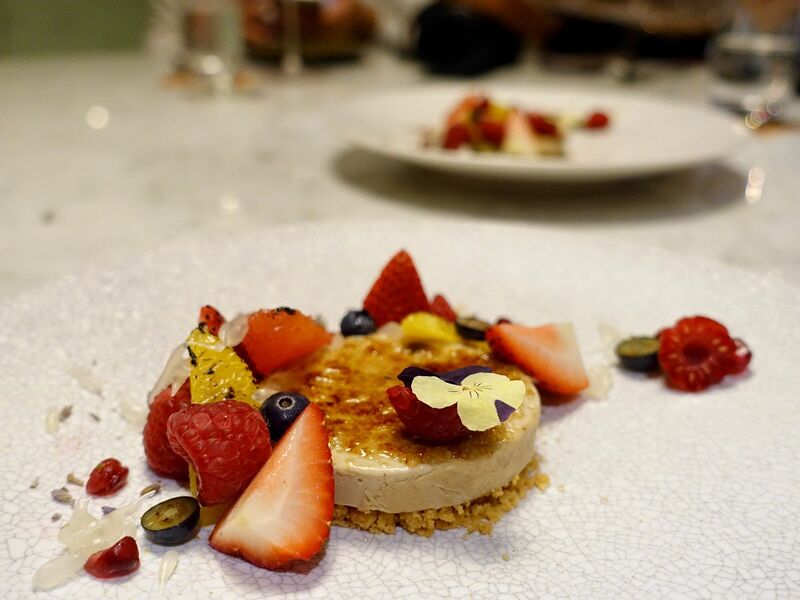 End your meal with a fragrant and light Earl Grey Creme Brûlée ($16) scented with a lemon lavender streusel base and fresh seasonal fruits. 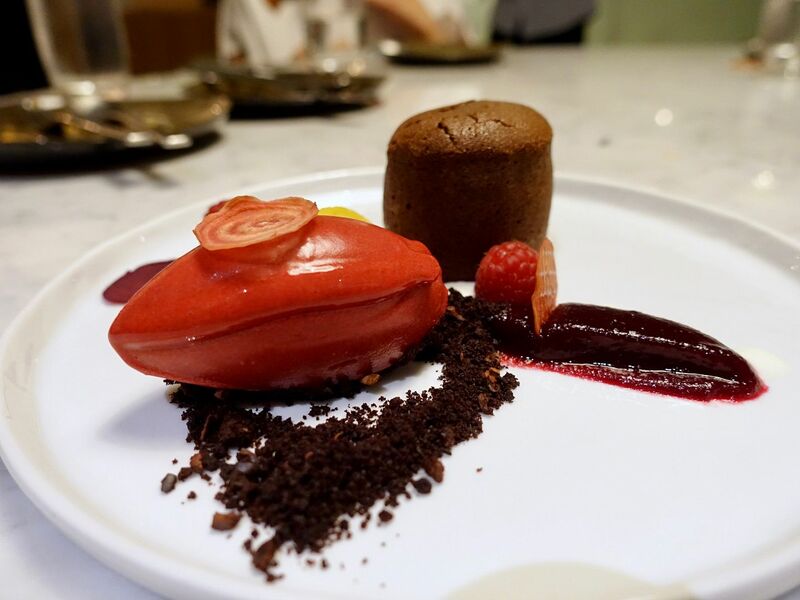 For something rich and earthy, the Three Beet Chocolate Lava Cake ($18) delighted us with the medley of textures created with the versatile root. Of course, we cannot resist a 70% Valrhona dark chocolate lava cake. I wouldn't be surprised to see more of this beetroot and raspberry sorbet on the market. 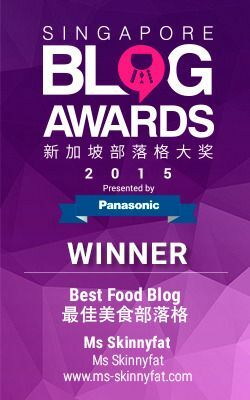 I'm already seeing a lot of beetroot on the menu of many noteworthy restaurants.